Artisan jewelry is not new. In fact, this type of designer jewelry has been around for thousands of years. In its earliest days, the wealthy commissioned artisan jewelry as a status symbol. 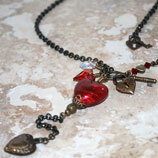 Today, handcrafted designer jewelry is affordable and available in many diverse styles. That not only makes it the right choice for any occasion, it makes it the perfect gift choice. 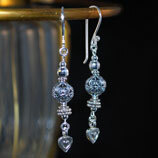 Artisan jewelry is special because it’s unique. Fashioned by master artisans using natural materials, such as metals, precious stones and semiprecious stones, no piece of designer jewelry is ever alike. The designers themselves distinguish this jewelry. Today, large manufacturers make most of the jewelry we buy. But with artisan jewelry, it’s much more feasible for individual artists and jewelers to create and profit enough to earn living. This allows for jewelry outside mainstream tastes. Most designer jewelry consists of popular metals like gold and silver, yet some of the most stunning pieces consist of brass, copper and even pewter. Coupled with gems such as agate, coral and jasper—just to name a few—you have a breathtaking piece of art that will last a lifetime. 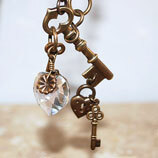 Lately, original artisan jewelry has experienced an amazing surge in popularity. This has afforded individual designers the opportunity to set up websites and showcase their work. The individual qualities of these sites help to highlight the magic of designer jewelry. But the Internet is not the only place to find artisan jewelry. 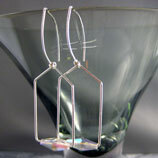 In fact, many of these craftsmen display their designer jewelry at craft fairs, flea markets and similar local venues. This is an excellent opportunity for the buyer to feel the work and to ask the artist questions about it. The limitation of local venues is just that, they’re local. Artisan jewelry is available from all around the world, and one of the real powers of the Internet is its ability to introduce us to these influences. One of the main reasons why designer jewelry has become so popular is because the Internet has opened our eyes to how wondrous this craft really is. 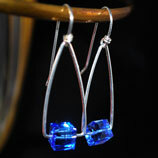 If you’re interested in learning more about artisan jewelry, you’re at the right place. The people at Genuine Bijoux are the designer jewelry experts, and the website is an amazing resource for jewelry lovers. 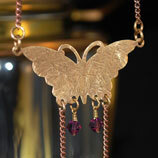 Genuine Bijoux also has one of the most incredible selections of artisan jewelry available online.